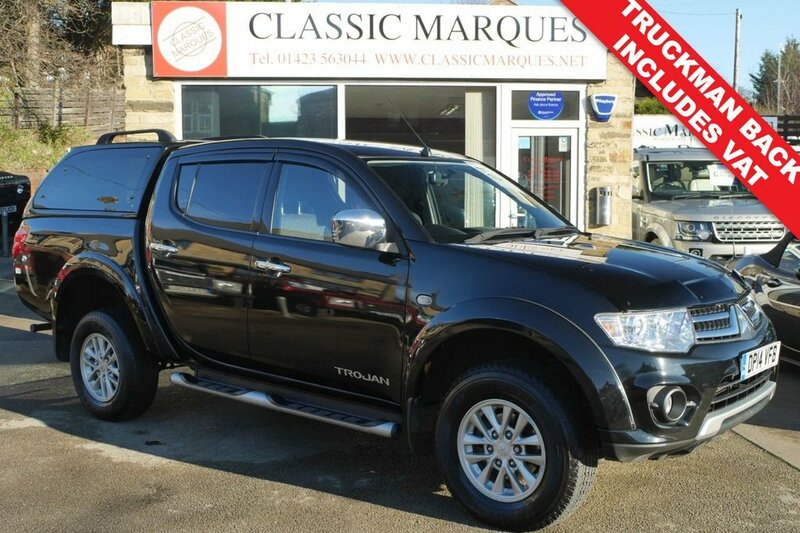 This superb Mitsubishi L200 Trojan Double Cab Pick Up 4x4 looks extremely stylish in Black with Black Cloth Seats. Benefitting from a full service history, this SUV features Central Locking, 17" Alloy Wheels, Electric Windows and Mirrors, Central Locking and Power Assisted Steering. Further comfort features include CD Player, Rear Tints, Side Steps, Traction Control and Power Fold Mirrors. A great addition to this L200 is that it is being sold with a Truckman Top with opening windows and Load Liner. The Trojan also has just been fitted with four brand new tyres too. This Mitsubishi L200 Trojan will be supplied with MOT, warranty, two keys and will undergo an extensive PDI prior to handover.